Day 1 Dubai-London. City Tour and London Eye with 3D Show. Welcome to London, the home of British Royalty. No other city in the world is as old or as aristocratic in appearance as London is. 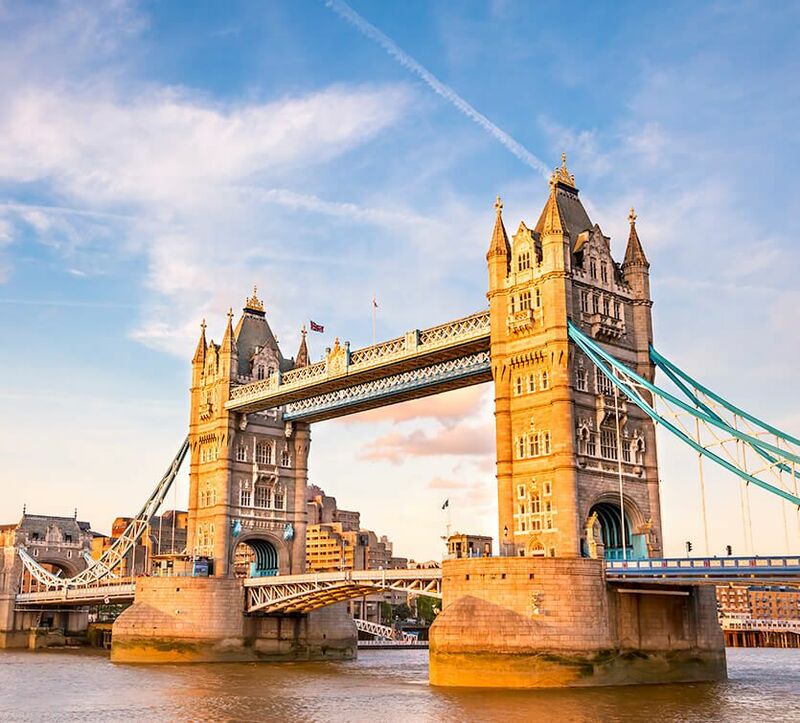 And what’s more, the museums of London are among the finest, shopping here is considered to be stylish and a tryst with the famous fish n chips is anything but a ritual. 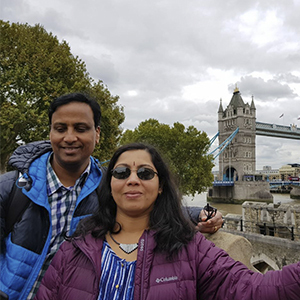 Live it up in London – for you are going to return with a memory card full of pictures but a heart full of love for this city. 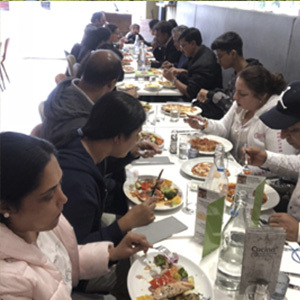 As soon as you arrive, meet and greet your guide and get started with a hearty breakfast before departing for your London city tour. You will see all the London highlights as you drive through the bustling city. Proceed to the London Eye. 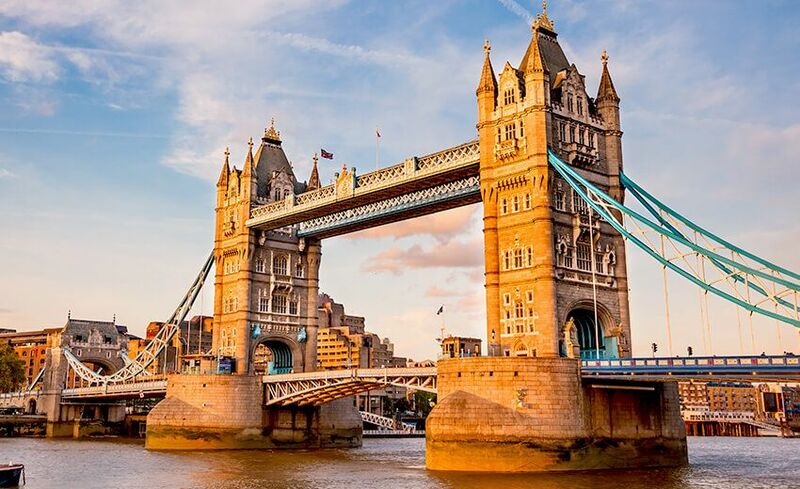 Soaring high above the skyline, this iconic London landmark is a must experience. In fact, as you slowly inch upwards, the entire city unfolds before you like magic. The best views can be seen from high up here. 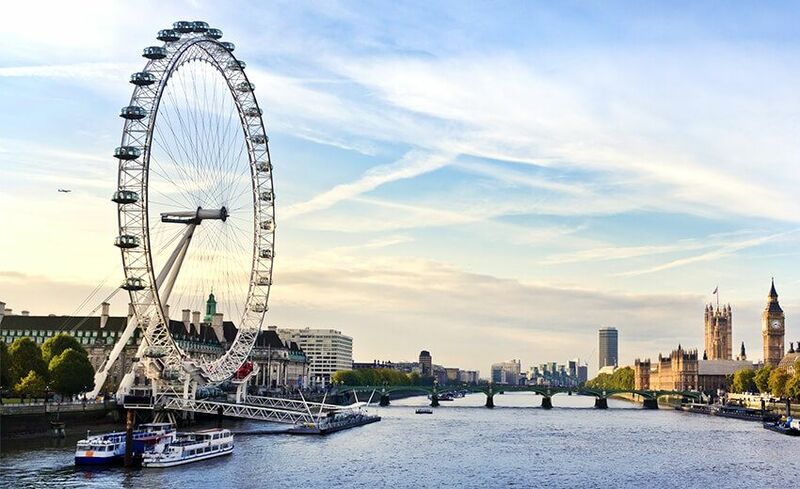 London Eye is the tallest Ferris Wheel in Europe, standing at a height of 135m – so you are literally with your head in the clouds! After this exciting activity, proceed for dinner Overnight in London. Good morning London. Today is a free day for you to explore amazing London. 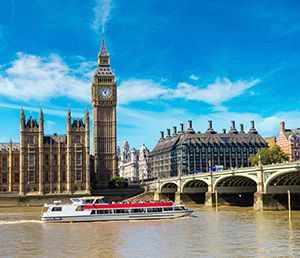 Or you can go on the Optional Tour which includes Tower of London and River Thames cruise. If you wish to venture out on your own, here are a few suggestions that might come in handy. London is where you can get the “world” – especially in its museums. If you enjoy world history, you are in the right place. Get yourself you a pass and spend time in historical museums to get an understanding of the city and the world. Particularly interesting are the British Museum, Imperial War Museum and Natural History Museum. Overnight in London. Day 3 London (flight) Edinburgh Madame Tussauds entrance with 4D show and Shopping time in London. Greet your last morning in London with a hearty breakfast and great ready to see London further before leaving for your next destination. Head out to the Madam Tussauds, the largest collection of celebrity wax statues. Experience the glittering world of fame. Take a walk down the red carpet or pose with the stars or hold a discussion with the world politicians or strike a goal with your favorite footballer. You are guaranteed to have a star-filled day here. Enjoy some free time for some shopping in London’s famous shopping areas. Leave for the airport for your onward journey to Edinburgh, Scotland, which is your next destination. Arrive in Edinburgh and proceed to your hotel for check in. Overnight in Edinburgh. Hello Edinburg! Enjoy a delicious breakfast spread at your hotel and get ready to tour the city. You will be visiting Edinburg’s famous landmarks today. This charming city will capture your heart and speak to your soul – after all, it is here that legends of fairies and unicorns were born. Forlorn-looking castles and quaint villages are the city’s top highlights. Proceed to the Edinburgh Castle, the city’s most famous attraction soaring high over the skyline, standing proud and tall. The Castle was built in the 12th century on a high rock where it stands today watching over the city. Watch out for whispers and screams as you wander through the castle! Enjoy a surreal experience within the Castle. 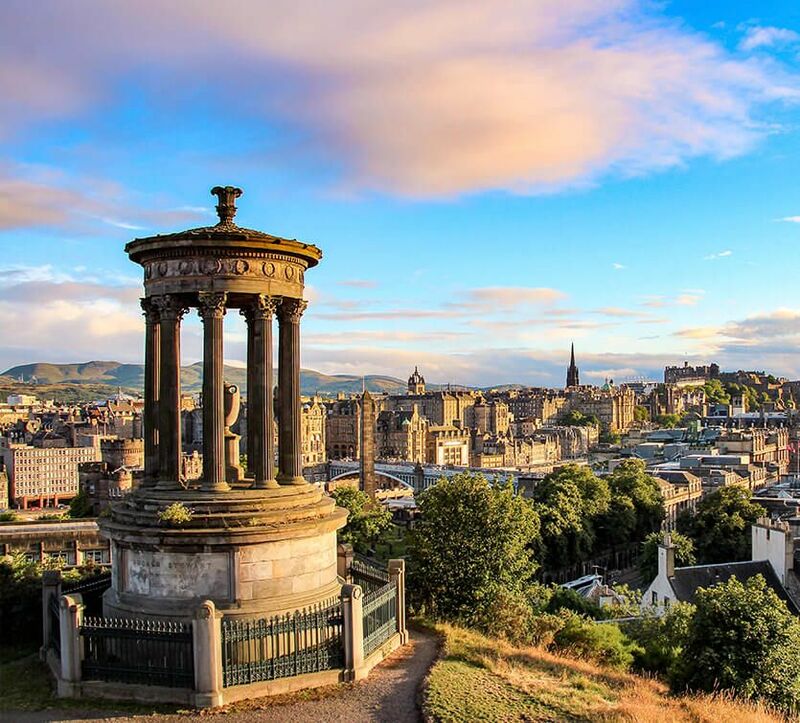 Proceed to the Edinburgh Old Town, which is a UNESCO World Heritage site with a rich history – which you can see in the St Giles Cathedral that was founded in the 1120s. With vaulted ceilings and ornate stained glass windows this cathedral is the keeper of many historical secrets. Afternoon is free for you to enjoy additional interesting sights around the city. Proceed for dinner. Overnight in Edinburg. Dig in to your breakfast buffet served this morning. 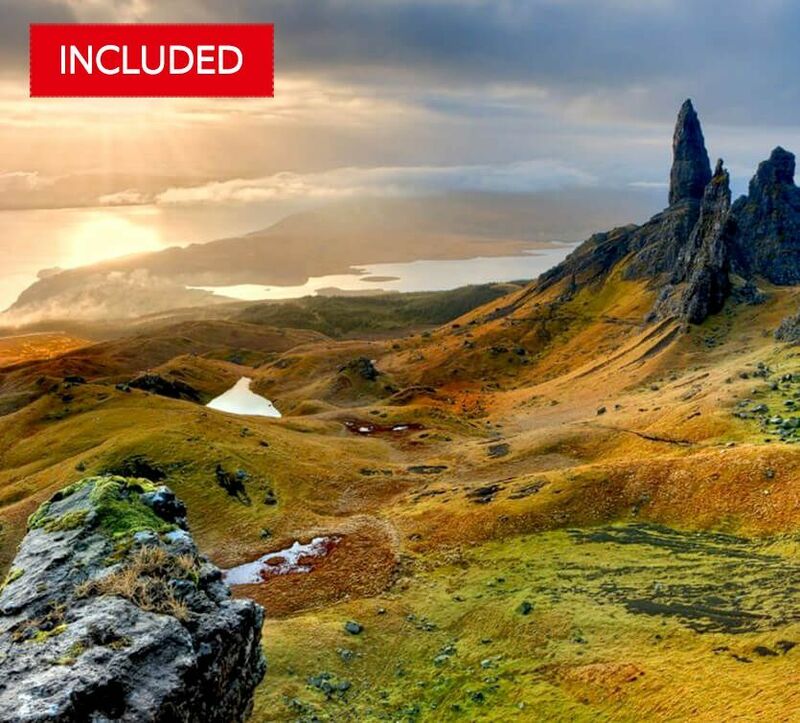 Set off on the optional excursion to the breathtaking Scottish Highlands with us for the next 9 hours or enjoy the day on your own. Start the full day outing to the highlands at the Stirling Castle of Scotland, built in the early 12th Century, another must see on your visit to Scotland. It is the largest and part of Scotland’s most significant history. Continue to Crieff, a small market town popular with tourists, pubs, restaurants and cafés. Enjoy the scenic drive from Crieff to Lochearnhead, a quaint village located on the west end of Loch Earn. Then proceed to Loch Katrine, a 9-mile long freshwater sea inlet, also the water reservoir for most of the towns in Glasgow. Next move to the whisky distillery. It’s a unique brand that produces highland single malt whisky. Take a closer look at the whisky distillation process and at the same time learn a lot about whisky. Get a taste of the good stuff before returning to the hotel. Overnight in Edinburgh. Welcome the last morning in Edinburgh. Check out and head to the airport for your flight to Dublin, Ireland. 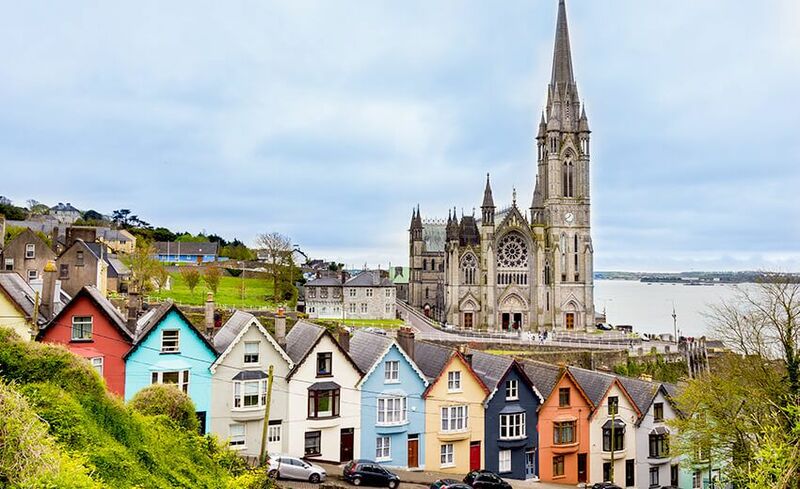 Welcome to Ireland, the country of music, Guinness and spectacular landscapes. Be it the Giant Causeway or the Cliffs of Moher, everything conspires to fuel your imagination like no other place does. 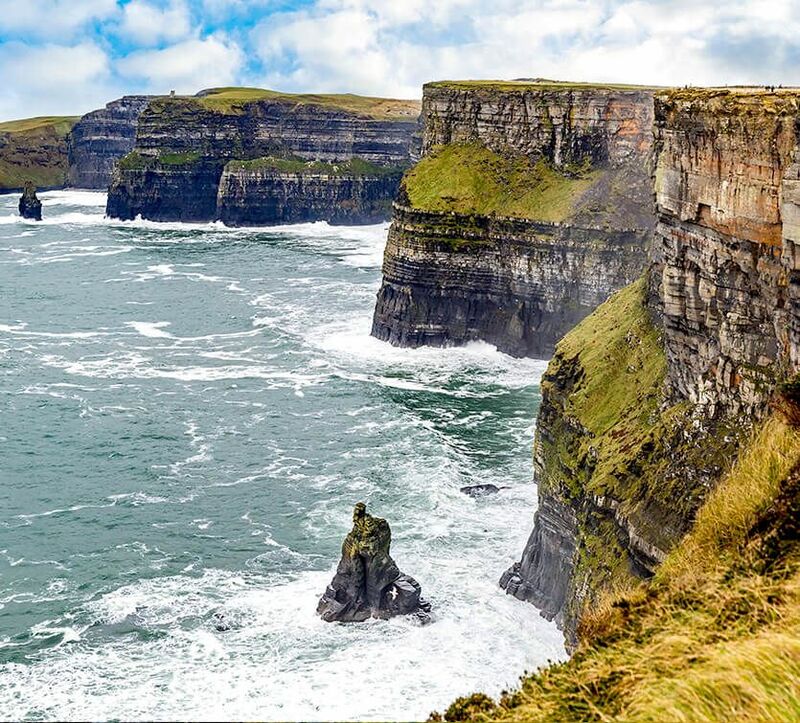 Ireland also has the world’s longest defined coastal routes which means, you are guaranteed adventure and breath taking views all through the 1600 mile stretch! The Irish love to party and tell a joke, so you’ll never be without a smile on your face ever. Meet and greet your guide and proceed for a guided city tour. 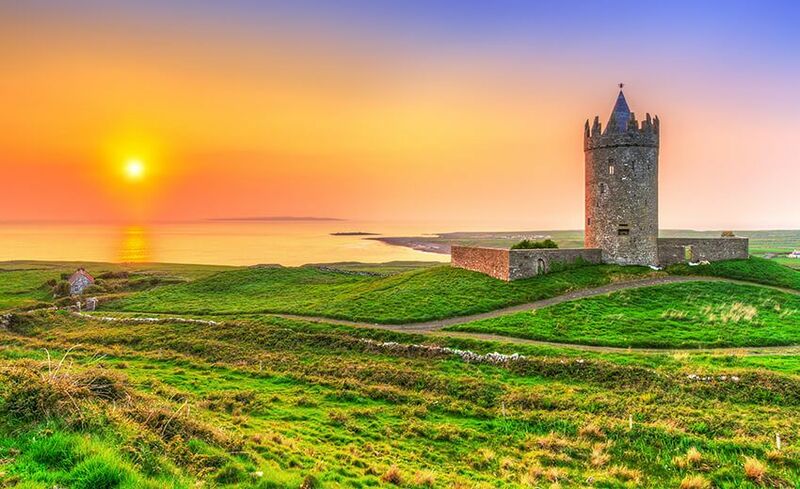 There are plenty of Irish memories within the walls of this castle standing on a hill. The Chapel Royal, Chester Beatty Library, The Garda Museum located in the castle are worth exploring. Continue your tour and see the Guinness Storehouse (founded in 1759) by Arthur Guinness. See the most photographed monument in the city – The Spire, a stainless steel structure stands proudly in the center of O’Connell Street at a height of 120m. Proceed to St Patrick’s Cathedral, the largest church of Ireland, originally founded in 1191. An architectural wonder, it is also the resting place of Jonathan Swift, author of Gulliver’s Travels. In case you choose to wander off on your own, Dublin has plenty to keep you occupied for the day. Museums here are free to enter – particularly interesting is the National Gallery of Ireland. If you love books, don’t miss out of the library inside Trinity College or Renaissance Marsh’s Library, Ireland’s first which opened its doors in 1707 or explore the Phoenix Park, or simply walk around the city and absorb the music the city is famous for. Enjoy a drink or two at the famous Temple Bar, the oldest in the city dating back to the 1300s! You cannot miss the famous and iconic red building right in the city center. Evening check in at the hotel . Overnight in Dublin. Good Morning Dublin! Greet your day with a hot breakfast at your hotel. Today is a free day, but you can opt to for the Optional Tour to the Cliffs of Moher with lunch included or explore the city on your own. The Cliffs of Moher are a series of cliffs jutting into the Wild Atlantic, 14km in length offering breath taking scenery. 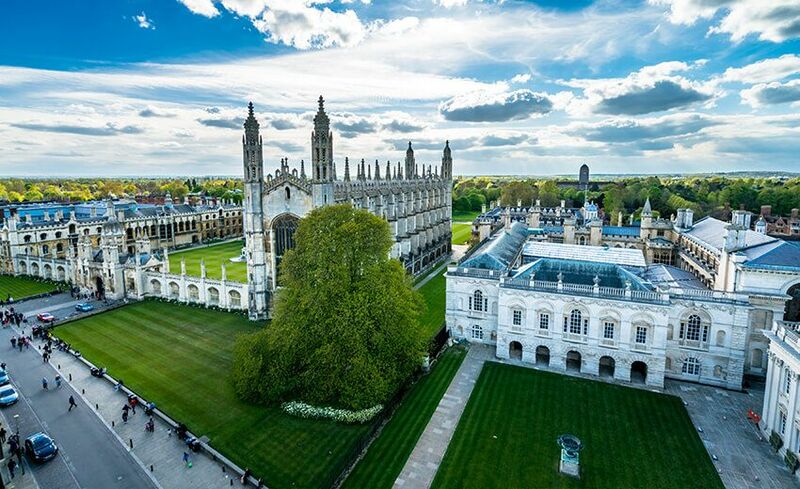 No wonder it is a hot favourite of movie makers and hundreds of films have been shot here, including some of your favourites – Star Wars and Harry Potter! Overnight in Dublin. Begin your day with a Buffet Breakfast! 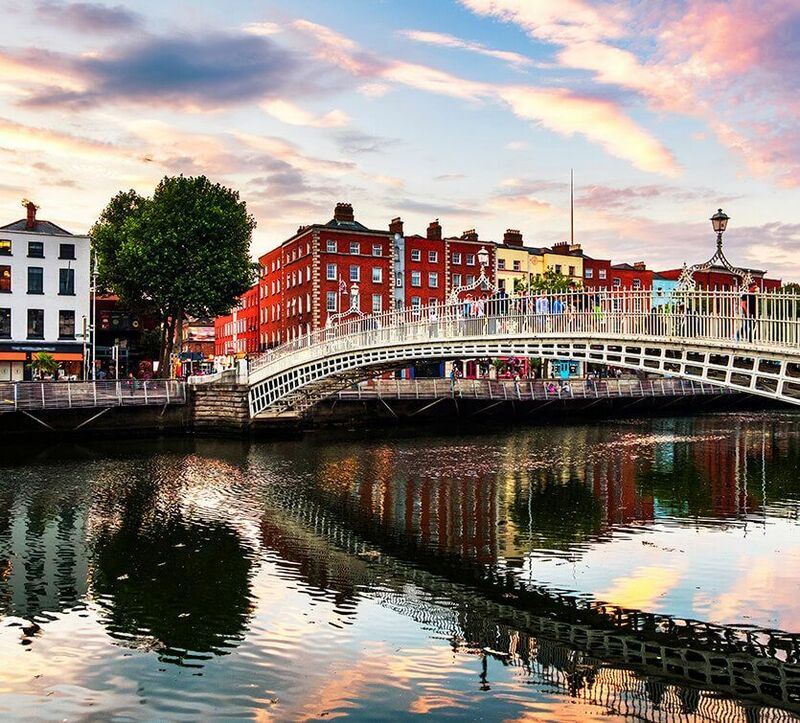 Today is a FREE day for you to explore the city on your own Overnight in Dublin. Bid goodbye to your last day of a wonderful holiday. After breakfast, check out of your hotel and head to the airport for your return flight home. 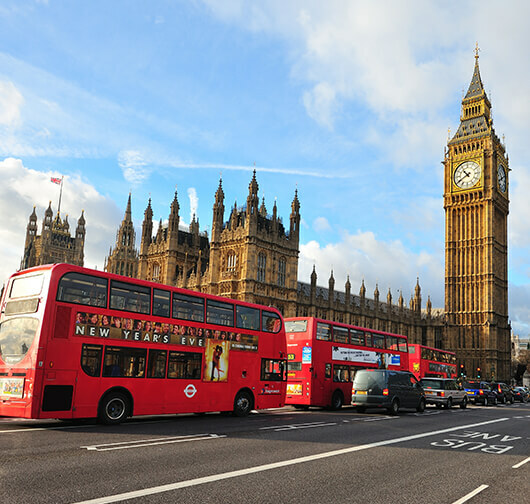 LONDON - Guided City tour of London , London Eye with 4D show , Madame Tussauds , Option of River Thames Cruise & Tower of London . EDINBURGH - Gided city tour of Edinburgh , Entrance to Edinburgh Castle , Scottish highland & Whiskey Distillery tour with Lunch (FREE with Offer) . 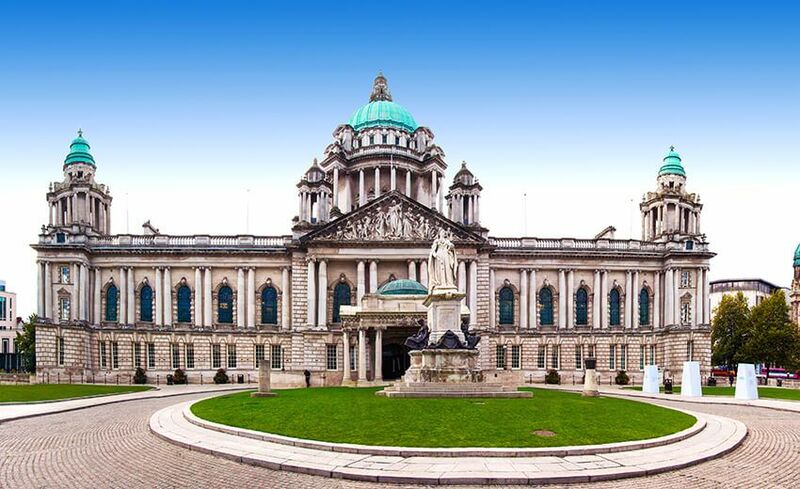 Dublin - Guided tour of Dublin city covering the must see attractions , shopping time , options of Cliffs of Moher Tour & a Irish Farm tour with Lunch . The tour was excellent and well organized from reaching London to taking off back to UAE. Except no time for shopping, since one is spending quite a bit to travel to a European country I'm sure every one would like to spend some quality time to shop after travelling so far and given to understand the cost of the same items in UAE are double the price. Would like to suggest that you keep at least 2 half days for people to shop on their own, all the more as shop's close by 6pm which is after a tour of the day ends. Hoping you take note of this. Not forgetting to thank our Tour manager and guides Keith, Anna & Forbes who gave their best. Will for sure recommend AFC to relatives and friends. I would like to take this opportunity to thank Andrew from the very beginning of this tour to make this holiday for my mother, daughter and me a successful one. Andrew was very clear, supporting and excellent in his follow-ups to conclude this trip to a memorable one. Andrew put me on to the right people within AFC for my UK visa and payment process which was handled very smoothly. He also supported me by giving me a contact for my mum's UK visa process in Mumbai. 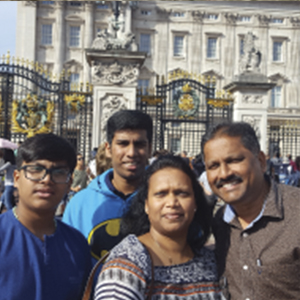 We enjoyed the trip very much since AFC holidays chose the right hotels, restaurants, sightseeing and also offered us good optional tours enabling us to cover London / Scotland to the very best within 8 days. Our Tour Manager - Keith D'mello was excellent, since from the very start to the end he gave us his best services to make our holiday a successful one. Keith was very informative and suggested to us the shopping places, closing timings, eating places, own transportation if we wanted to check out places on our own. Keith was very punctual from Day 1 at the airport and managed a group of 50 people efficiently with no inconvenience to anybody. He handled the bus timings, washroom or lunch breaks with some shopping time very well. So overall the entire group could get an opportunity to conveniently handle the intervals during the long bus journeys. He was very friendly with the entire group and understood people's needs to assist them with his best efforts. 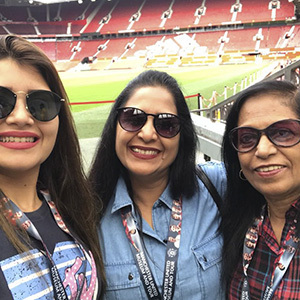 This is one of the best tours we enjoyed and have memories to cherish that we just did not want to come back to Dubai but wanting this tour to go on and on. 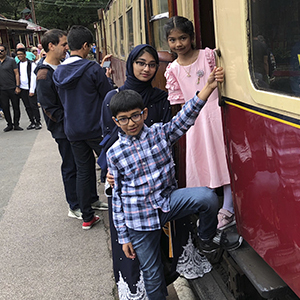 I would suggest if any of AFC customers have not done this tour, then you are really missing out this opportunity of something great to experience and cherish. 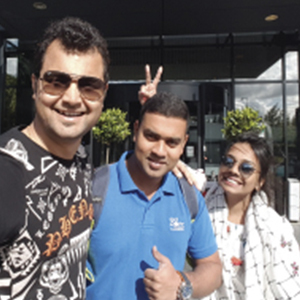 AFC have done justice to the tour cost, optional tours, hotels, quality of the local tour guides, restaurants and to top it all one of the best tour manager - Keith to handle the same. Thank you once again to Andrew, Keith and above all AFC Holidays to make our UK Indulgence holiday a successful one with so many long lasting memories brought back to Dubai.